We stock an excellent selection of topiary specimens in popular evergreen species, these make great garden additions bringing year round height and structure and can often complement a hedge of the same species. What better way to create a display in your garden than with topiary? Whether you want a ball, cone, box or more unusual shapes, we stock a variety of hedges that make for exceptional focal points, in a variety of sizes. Our topiary hedges can either be planted in the ground or in containers, whichever you prefer. 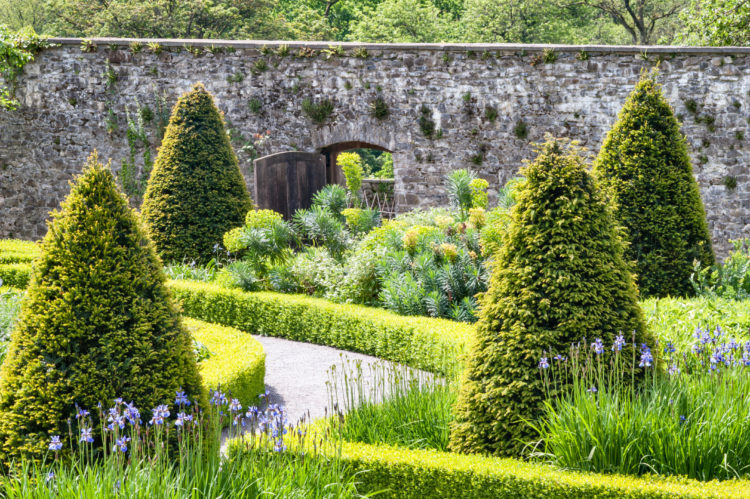 With a wide selection of different types of hedging for you to choose from, you really can personalise your focal points and borders; not just for scenery purposes, but for privacy too. Our unusual topiary shapes are more specialist than your standard shapes, and therefore, to provide you with the best quality hedging, these particular topiary hedges are produced in smaller numbers. Our selection does change slightly throughout the year, but we will always have the very best selection of the highest quality hedging available for you and your garden. English Yew and Common Box are our most popular, and the usual hedging species for ball and cone shapes. We do also stock a wide selection of other evergreen species of hedging, including Photinia, English Yew and Common Box are our most popular, and the usual hedging species for ball and cone shapes. We do also stock a wide selection of other evergreen species of hedging, including Photinia, Olive and Portuguese Laurel, which are brilliant at providing you with your perfect topiary hedge. Can’t decide on the type of topiary shape you want, or the hedge style you desire? Don’t worry, we can help give you all the advice you need before making your purchase. Please don’t hesitate to get in touch with one of specialist team members on 01580 765600, or take a look at our contact page. Perhaps you already have your desired topiary look in mind and know exactly what you want? Then feel free to take a look below at what we here at Hopes Grove Nurseries can offer you.